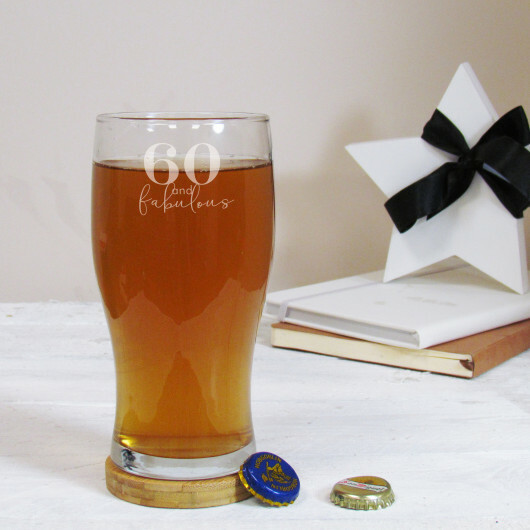 A fantastic personalised special birthday pint glass for any beer lover! This makes a great gift for a special birthday keepsake for any beer lover in your life. The pint glass is personalised with an Age and this appears above the 'and fabulous' standard text.